“Unforgettable”: The First Season is yet another solid crime-drama on the king of crime-dramas, CBS. Poppy Montgomery is wonderful in the lead role and her character’s abilities is unique and, at least to some extent, based on reality even if heightened for a weekly television series. The DVD released by Paramount provides good video/audio transfers while the features aren’t anything amazing but nowadays getting any features is considered a blessing. SERIES PLOT OUTLINE: For most people, memories — both good and bad — fade over the course of time. Not so with Carrie Wells (POPPY MONTGOMERY). She possesses a rare condition — a flawless memory that enables her to remember every place, every conversation, every moment of joy, and every heartbreak in her life. However, the one set of details that remains hazy in her mind involves the long-ago murder of her sister. But when Carrie is unexpectedly given the chance to collaborate again with her ex-boyfriend, following a partnership years earlier at a different precinct, NYPD Detective Al Burns (DYLAN WALSH), to consult on a homicide case, she decides to join his team of homicide detectives — and perhaps reawaken recollections of the unsolved murder of her own beloved sibling. Quick Hit Review: “Unforgettable” is an interesting concept and twist on the police procedural format which permeates on television, especially on CBS where “CSI” and “Criminal Minds” still are running fairly strong. So, anything to change up the format is welcomed and this series starring “Without a Trace” alum Poppy Montgomery grabbed me with the pilot episode and managed to maintain interest throughout the 22-episode season run. Along with Poppy Montgomery, what keeps the show fun is the supporting cast. I know there are many who dislike Dylan Walsh with one Internet user posting every time they see his face, they want to punch it, but he shares good chemistry with Montgomery and his character is there to put Carrie in check, not unlike Jane and Lisbon on “The Mentalist”, just gender roles reversed. Along with Walsh, Michael Gaston is great as the grisly veteran; Daya Vaidya provides another female perspective; Kevin Rankin gives a bit more quirky value and latecomer Jane Curtain is the comedy relief at times but also more or less the conscious for Carrie. Far from perfect not so much the case-of-the-week format (which I didn’t mind) but that Carrie is often able to get her and the crew out of a jam via her photographic memory. It is nice that they didn’t at least make her into a superhero giving her real problems, so it does keep the series somewhat fresh. This release comes with a side-sliding semi-glossy slip cover. No insert or booklet but the episodes are printed on the inner inside sleeve. Deleted Scenes (10:46) – The following episodes include scenes removed or cut down: Pilot, Check Out Time, Up in Flames, With Honor, Friended and Lost Things. 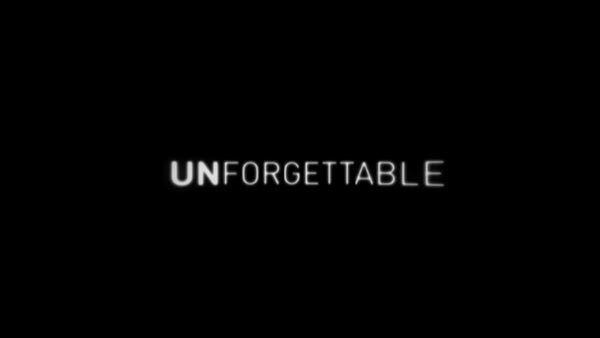 Keeping it Memorable: Cast & Crew of “Unforgettable” (19:22) – In this relatively extensive featurette, members of the cast, including stars Poppy Montgomery and Dylan Walsh, and the crew, talk about the origin of the series as well as the development of the characters. Also discussed is the type of memory retention the main character has and using Marilu Henner, who has this ability, as a consultant. “Unforgettable” Production Design (3:29) is a short featurette delving into the set design where the production designer gives a tour and how it aligns for the right camera shots. “Unforgettable”: The Rememberers (7:05) goes deeper into the condition known as “HSAM” (Highly Superior Autobiographical Memory) where Marilu Henner, and others in the scientific field, gives a detailed analysis of it. Gag Reel (5:03) has your usual hijinks and flubbed lines. CBS Launch Promos (8:30) are some adverts for the series. “Unforgettable”: The First Season arrives on DVD via Paramount presented in its original 1.78 anamorphic widescreen aspect ratio. The picture is nice and bright with a fine balance with colors and there’s only a moderate amount of pixilation which is normal for a standard def transfer. The Dolby Digital 5.1 track is good with a good range from the score to the dialogue levels which are crisp and clear. It’s not overly dynamic, but it is serviceable. Overall, “Unforgettable”: The First Season is yet another solid crime-drama on the king of crime-dramas, CBS. Poppy Montgomery is wonderful in the lead role and her character’s abilities is unique and, at least to some extent, based on reality even if heightened for a weekly television series. The DVD released by Paramount provides good video/audio transfers while the features aren’t anything amazing but nowadays getting any features is considered a blessing.